Lilacs are a spring staple in cool climates but many varieties, like the classic common lilac, require a cold winter to produce buds for the following spring. Can lilacs grow in zone 9? Happily, some cultivars have been developed for warmer climates. 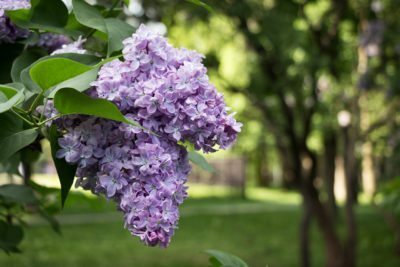 Read on for tips for growing lilacs in zone 9 as well as a selection of top zone 9 lilac varieties. 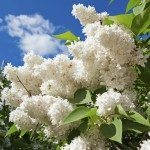 Common lilacs (Syringa vulgaris) are the old-fashioned type of lilac and offer the biggest flowers, the best fragrance and the most enduring blooms. They typically require chilly periods in winter and only thrive in zones 5 through 7. They are not appropriate as lilacs for zone 9. Can lilacs grow in zone 9? Some can. With just a little effort you can find lilac shrubs that thrive in U.S. Department of Agriculture plant hardiness zones 8 and 9. When you dream of growing lilacs in zone 9, look beyond the classic lilacs to the newer cultivars. Some have been bred to grow in warmer zones. The most popular choices include Blue Skies (Syringa vulgaris “Blue Skies”) with its highly fragrant flowers. The Excel lilac (Syringa x hyacinthiflora “Excel”) is a hybrid that flowers up to 10 days before other varieties. It can grow to 12 feet (3.6 m.) tall. Another attractive species, the cutleaf lilac (Syringa laciniata), may also do well in zone 9. Another possibility is Lavender Lady (Syringa vulgaris “Lavender Lady”), from Descanso Hybrids. It was developed for Southern California’s zone 9 climate. Lavender Lady grows into a small lavender tree, up to 12 feet (3.6 m.) tall and half that wide. Descanso was also responsible for developing White Angel (Syringa vulgaris “White Angel”), another option for zone 9. This shrub amazes with its creamy white lilac blooms. And keep an eye out for a new lilac from Proven Winners called Bloomerang. It thrives in zone 9 and produces explosions of light or dark purple flowers in spring. Zone 9 lilac care is very similar to lilac care in cooler zones. Plant the zone 9 lilac varieties in a site with full sun. As far as soil, lilacs for zone 9 – like other lilacs – require moist, fertile, well-drained soil and regular irrigation in dry periods. 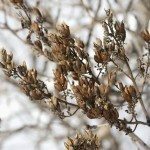 If you need to prune the lilac, do so right after the plants spring blooms fade.